The Revolution Gaming Network which up until a few days ago was the home of Lock Poker essentially at war with each other. 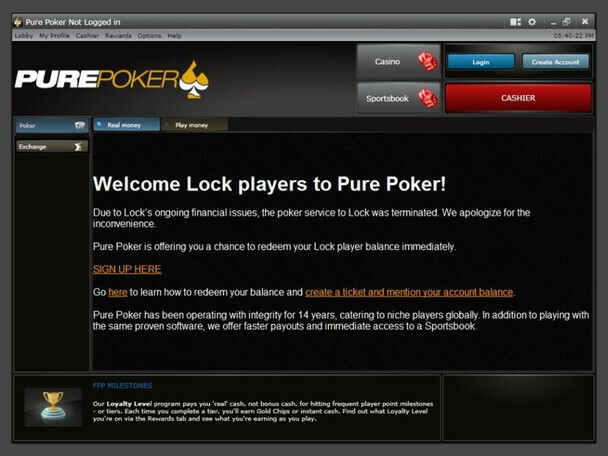 Lock Poker out of no where announced that they were leaving the network to instead play on their own proprietary ring fenced poker software. In an interesting turn of events, it seems as though the Revolution Gaming Network is attempting to steal the players that Lock Poker brought to the network. Lock Poker players who power up their old Revolution Network software are met with the following message. Due to Lock’s ongoing financial issues, the poker service to Lock was terminated. We apologize for the inconvenience. Pure Poker is offering you a chance to redeem your Lock player balance immediately. 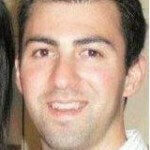 A Lock Poker representative reached out to PokerFuse to help shed some light on the whole Pure Poker issue. This is clearly an attempt by the network to take Lock players and damage Lock’s business via a deceptive and misleading practice. The network operator has been given an opportunity to correct this and have refused to do so. Players who follow those directions will essentially no longer be playing on Lock Poker and instead will be playing on a site owned and operated by the Revolution Gaming Network. Up until Lock leaving the network it was thought that Lock Poker was the actual owner of the network but after this its quiet clear they never finalized the agreement. If a player goes directly to LockPoker.eu that is the only way they will be able to stay with Lock Poker and continuing playing on the new software. It is strongly advised that any players still playing on Lock Poker and the new software should consider moving to a new site as Lock Poker currently has a F cashout rating according to the October 2013 payment report put together by John Mehaffey.